State Department spokeswoman questions PM Netanyahu's claim that Israel knows the details of the planned deal with Iran. The United States on Thursday expressed doubts after Prime Minister Binyamin Netanyahu claimed that Israel knows the details of the planned nuclear deal with Iran and warned that it is a bad one. Asked about Netanyahu’s claims later Thursday, State Department spokeswoman Jen Psaki questioned whether Netanyahu indeed knows “more than the negotiators”. "Then the fact is that he knows more than the negotiators, in that there is no deal yet," she said, according to The Associated Press (AP). "Obviously, if there's a deal we'll be explaining the deal and explaining why and how it prevents Iran from acquiring a nuclear weapon. And if that's the case and we come to a deal, it's hard to see how anyone wouldn't see that's to the benefit of the international community," added Psaki. 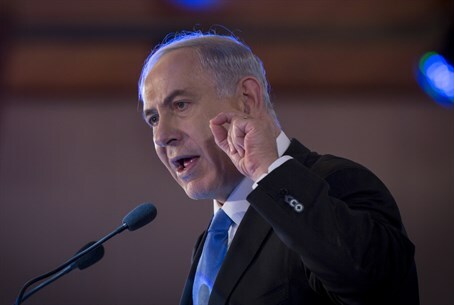 Netanyahu’s remarks came after President Barack Obama's administration admitted on Wednesday to withholding details of the Iran nuclear deal from Israel, and accused Israel of misrepresenting the talks. The back-and-forth over the deal comes as Netanyahu is scheduled to address the U.S. Congress on March 3 and warn against the looming nuclear deal, ahead of a March 31 deadline for the talks between the Islamic Republic and world powers. Under the deal, Netanyahu has warned Iran would be left with nuclear breakout capability, allowing it to rapidly obtain a nuclear weapon in the near future. Iran last July claimed it "needs" 19 times more nuclear centrifuges than the number offered by world powers, demanding 190,000 centrifuges.